For some reason, Prince of Persia: The Forgotten Sands was a bit of a flop. I bought this game in the summer of last year mere months after its release for a measly £10 in a bargain bin sale. When I finally got round to playing the game, however, I was pleasantly surprised to find that its actually a very solid title. Much more so than its bargain status makes it out to be. 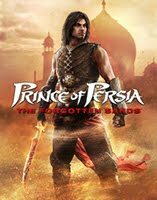 Prior to playing this game, I had only played one other Prince of Persia title: the excellent 2008 reboot 'Prince of Persia'. The Forgotten Sands is an interquel that slots into the series between The Sands of Time and Warrior Within, completely departing from the 2008 game despite the new story that was started. Load up the game, and the menu screen will hit you with one the game's best tracks from a simply stunning OST. The music sets up the feel of the game before the player even starts, and continues to do so throughout, with a lot of variation, depending on where you are and what you are doing. You can listen to the Main / Menu Theme by playing the video on the right. Beginning a new game will present to you a stunningly crafted beginning cutscene that is so lifelike in parts I honestly had to question whether all of it was CGI. Going into in-game graphics from here is always going to be a let-down, but the game is able to hold up pretty well in the graphics department. 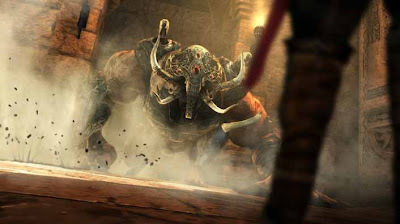 The game’s plot is a standard Prince of Persia affair - if you’ve played The Sands of Time, the opening of Forgotten Sands will be a déjà vu moment, as the Prince arrives at the palace of his brother Malik (having been sent there by his father in order to learn leadership skills) only to find the castle under attack from an opposing force that greatly outweighs the allied army. Knowing he is fighting a losing battle, Malik retreats into the castle and enters the vault of King Solomon, in which a mythical army is contained. Despite the Price's objections, Malik sees this as his last resort, and releases the army using a magic seal, however, upon releasing the various sand creatures, Malik discovers that they are far from friendly, and the monsters begin turning anyone they come across into statues. The Prince and Malik are protected by their halves of the magic seal, which also allows them to absorb and use power from sand enemies they defeat. The Prince finds a portal to the domain of Razia, one of the last remaining Djinn (immortal deities who wield elemental powers), who explains that only by reuniting the two halves of the seal can Solomon's Army be re-imprisoned. Hunting down Malik to try and get the two seals back together makes up most of the first section of the game, with things getting more complicated after battling Ratash, a corrupt fire Djinn, and leader of the sand army, who uses Malik as his new host after being defeated by the Prince in battle. Thankfully, Razia bestows some magical powers upon you to help in your adventures. The first is the Power of Time ability, which makes a return from the Sands of Time trilogy, and allows you to rewind a certain period of time, effectively undoing any mistakes you make. Of course, you can only use this for a certain period of time, and only a certain number of times due to your Power bar limitations. The second power you are given is access to the Upgrades Menu, which, when you’ve accumulated enough points, will allow you to upgrade certain attributes, and bestow the Prince with Fire, Water, Earth and Ice-based elemental spells, which help greatly when up against foes. Combat itself is a little underwhelming, with focus being shifted from the combo chaining action of Prince of Persia onto button mashing. 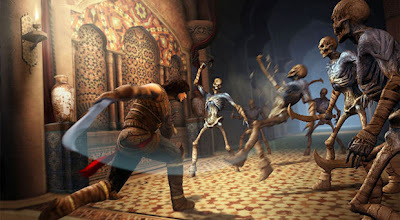 Hitting jump, or kick, during battle, along with setting off your new-found powers, will mix stuff up a bit, but combat never feels as well defined as Prince of Persia (2008). One of my main criticisms with the combat is that, considering the sheer number of enemies that are often forced upon you, I didn’t feel that there simply isn’t enough variation in the monsters; although slicing through swarms of sand skellies is satisfying, it would have been great to have a larger assortment of foes to do battle with. 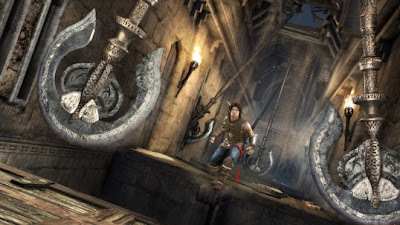 The basis of all Prince of Persia games is the platforming, and this returns in force, with wallrunning, column climbing and pole swinging abundant, and plenty of traps to slash, impale, or otherwise incapacitate you along the way, with spiked floors, swinging blades and wall-mounted arrow-shooters the favourite. You'll be using your parkour moves a lot throughout the game, so it's a good job that the mechanic works so well: pulling off chains of acrobatic moves looks and feels great. To help avoid pointless deaths at the fault of the Prince’s eager leaps into thin air, Ubisoft have tried to make the Prince more aware of his surroundings this time around, with different moves being performed contextually, and it works well most of the time, although occasionally you’ll still find yourself cursing the Prince’s suicidal tendencies. 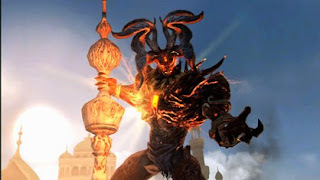 The open world of Prince of Persia (2008) is gone, and the Forgotten Sands sees the return of the linear, albeit extremely well defined, routes of The Sands of Time, which helps to keep the game progressing at a more controlled speed, but also removes the sense of freedom. All of the game is contained within the palace walls, however, rather surprisingly, still manages to provide a good diversity of areas to explore. To improve on the platforming formula further, several new moves have been introduced. While we don’t get the pleasure of being able to use the ceiling run this time, the new Banner Drop becomes The Forgotten Sands trademark manoeuvre, which allows you to drop down via the lacerating of a large orange banner. Although this move will see many a perfectly good banner ruined throughout the course of the game, it’s an inventive new move, which, backed up by some lovely cloth physics, looks great too. Later on, more platforming-based powers will be unlocked: The Power of Flow allows you to freeze water for a certain period of time, turning horizontal water sprays into poles to swing on, falling gushes of water into columns to climb, and sheet waterfalls into icy walls to be scaled. The difficulty comes in timing your freezes, as often you will not have enough time to simply keep your finger on the trigger. The most challenging Power of Flow implementation comes near the end of the game, where you must quickly freeze and unfreeze to bounce between and through waterfalls. On top of this, we also get to use the Recall ability, which allows you to ‘see’ the palace as Razia remembered it, solidifying previously holographic sections of building. The catch is, only one section can be solidified at a time, which makes for some interesting, and challenging gameplay. Reaching the end sections of the game, players will be required to combine these two moves to progress, which often requires a lot of concentration to ensure you’re not hitting the wrong button. While a great game, Forgotten Sands does have some issues: for some, the game simply won’t be difficult enough. With no penalty for playing the game on Easy, and even a trophy for rewarding you for lowering the difficulty, there’s no real urge to beat the game at its most difficult, but even at the higher difficulty levels, the game isn’t too challenging, and deaths will usually only come from careless platforming or being swamped by enemies while having a depleted Energy bar. Overall, the return to The Sands of Time gameplay and setting will have some nostalgia value for veteran PoP players, and for those that never had the chance to play the original trilogy, it’s a great HD introduction to the series with a good plot, brilliant soundtrack, and some nice graphics, but the game is dragged down by the button-mashing combat style and lack of challenge. However, this game should not become as forgotten as the titular sands – do your duty and save this under-appreciated title from a bargain bin near you.